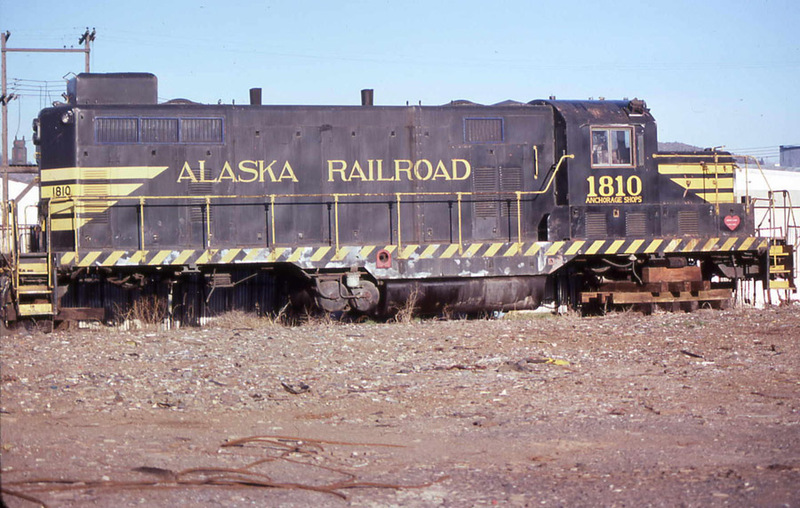 The #1810 is is seen here on 1 April 1988 in the scrap yard in Klamath Falls, Oregon, shortly before being sold to the McCloud River. Photo is by and courtesy of Jerry Lamper. The #1810 sitting in the McCloud yards in September 1991. Photo is by and courtesy of Jerry Lamper. 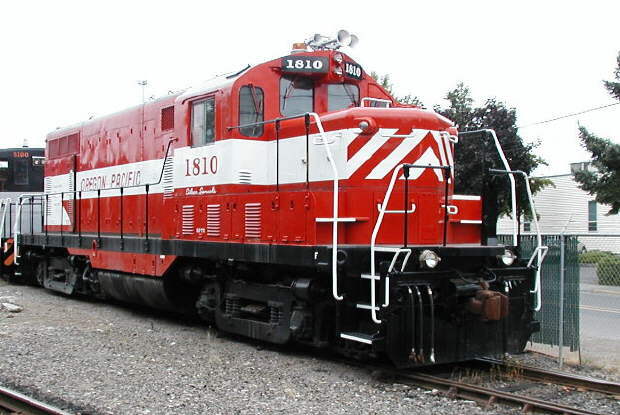 This is a photo of the #1810 as it appeared on the Oregon Pacific Railroad. Photo courtesy of Larry Tuttle.